For quite some time we have been hearing rumours about Nokia entering the phablet domain. Now finally we have the first images to substantiate the claim. 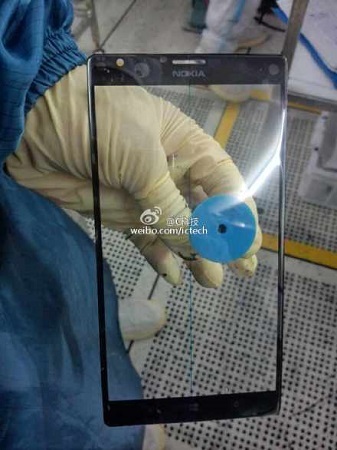 There are images of the front panel of the alleged Nokia Lumia phablet all over the internet. While the design looks astray from the regular Lumia designs, it has the Nokia tag on top. Interestingly the panel seems to have very thin side bezels with a display size of 6 inches. The panel also has an opening for the front camera. Considering the Nokia Lumia phablet would have a 6 inch display, it would be a must for a 1080p display resolution. Assuming that the device is still in the early stages of production, we can expect to see it launched by the end of this year or early next year. Now, get ready for Narendra Modi smartphones!